By Carl Slaughter: In exclusive for File 770, to celebrate the publication of Not So Much, Said the Cat, which came out this summer, Michael Swanwick gives us the inside story on his collections. MICHAEL SWANWICK: Five of these stories were Nebula Nominees. One was a World Fantasy Award Nominee. One won the Asimov’s Readers Award. And one won the Theodore Sturgeon Award and was nominated for the Hugo and Arthur C. Clarke Awards. “Hello, Jim. It’s good to hear from you,” I’d say. And with a harmless bit of gossip here and a comment about a hot new story there, I could keep him on the phone for hours. There aren’t many people I’d want to keep on the phone for hours, but he was right at the top of the list. MICHAEL SWANWICK: Five of these stories hadn’t been collected before. Of those, two were nominated for the World fantasy Award. One of these won and was also nominated for the Theodore Sturgeon Award. “The Wireless Folly,” which imagined the science fiction/fantasy/horror genre as a rambling building, constantly being added to, was written as an introduction to the volume. “Mother Grasshopper” also appeared for the first time in this volume. One day, out of nowhere, my friend Chris Logan Edwards said he wanted to do a slim collection of my work. Slim, he said, to keep the price down so that people could buy it on impulse. I looked at my uncollected work and realized that the very best of it all happened on strange locales – a planet-sized grasshopper, a train passing through the borderlands of Hell, a tavern on an overbuilt medieval bridge, and my own neighborhood as seen from the afterlife. So I added the previously collected “The Edge of the World,” to bring it to length, and had a collection whose stories chimed nicely. One critic said that they were all about death, and that’s possible too. Chris put together a beautiful volume with a particularly evocative cover by Lee Moyer. It was Tigereyes Press’s first publication and not only was it nominated for the World Fantasy Award for Best Collection, but it earned Chris a place on the World Fantasy Award ballot for Special Award, Non-Professional, as well. Not bad for his first book. MICHAEL SWANWICK: Sometime in my first two decades as a published writer, I acquired a facility for writing flash fiction. I wrote a series of twenty-seven stories, one for each letter of the alphabet, plus one marking the magazine’s tenth anniversary, and sold them to The New York Review of Science Fiction for, as I recall, five dollars a pop. The money was nothing, but I’d written them for fun, so that didn’t matter. David Hartwell, editor and founder of NYRSF, suggested that his Dragon Press collect the stories as a chapbook. The editing and illustration was done by Kathryn Cramer. This was an old school publication – sturdy, handsome, and economical – as suited David and Kathryn’s fannish streaks. I don’t have any anecdotes about this one, but it made me happy and that will have to suffice. Ann A. Broomhead and Timothy P. Szczesuil, eds., Framingham, MA: NESFA Press, 2000. 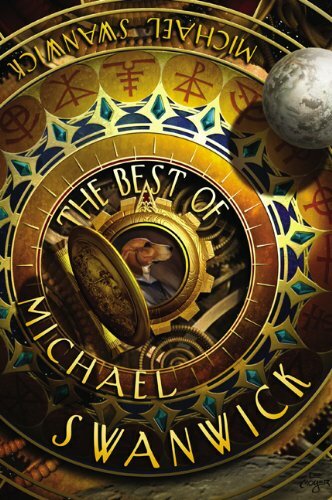 MICHAEL SWANWICK: Two stories were nominated for the Nebula Award and three, including “Moon Dogs” (which was one of two stories original to this collection) were nominated for the Hugo. The introduction was by Gardner Dozois. The New England Science Fiction Society has a pleasant tradition of creating a book, usually a collection, each year for the guest of honor at Boskone, Boston’s venerable science fiction convention. This presented a problem for me because I’d already contracted for what was by now my traditional collection-per-decade. Editors Ann Broomhead and Tim Szczesuil convinced me that by including non-fiction and some of the best of the collaborative fiction I’d written over the years, we could assemble a worthwhile book. While there are some upbeat works in the collection (my posthumous collaboration – “Over my dead body,” I can hear his spirit growl – with Avram Davidson, “Vergil Magus: King Without Country,” is a hoot), the mood of the fiction is, overall, darker than usual for me. I have no idea why I didn’t include “Dogfight,” my collaboration with William Gibson, unless it’s that I didn’t want to look like I was trying to ride on his coattails. During the convention, I was hobbling around on a cane, the result of a fall down the stairs and a broken toe, waving the book about and telling everybody that it was only one of three collections I had out that year. Rick Berry, the artist guest of honor, created a beautiful illustration for the cover. 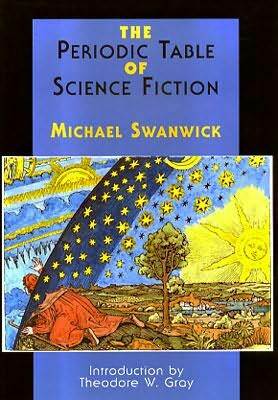 MICHAEL SWANWICK: Of these nineteen stories, fifteen were never collected before. The previously uncollected stories garnered three Nebula nominations, three Hugo nominations, two Sturgeon Award nominations, a World Fantasy Award nomination, an Asimov’s Reader’s Award, and two Hugo Awards. The introduction was by Bruce Sterling. 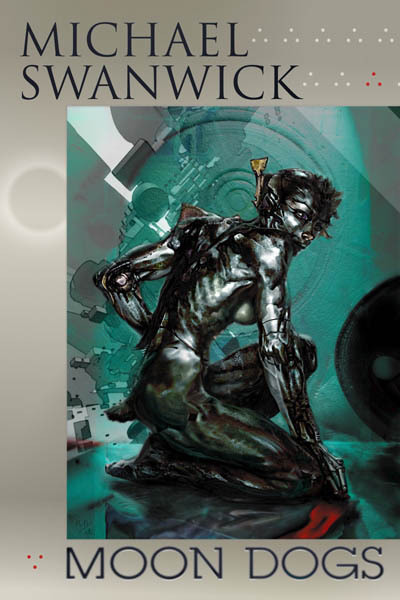 This collection was a collaboration between Frog, Ltd., an imprint of North Atlantic Books, and Tachyon Publications. It was my second major collection, gathering together all my best stories of the prior decade. This book began my professional association with Jacob Weisman, who quickly became a good friend. Such good friends that, some years later, Marianne and I flew to San Francisco to attend Jacob’s wedding to his wife Rina. So now we have two good friends (at least) at Tachyon. San Francisco: Tachyon Publications, 2003. 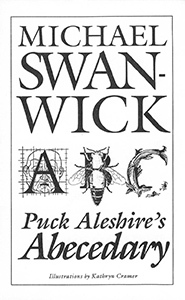 MICHAEL SWANWICK: Cigar-Box Faust gathers together pretty much all my flash fiction written to that point, save for the 26 short-shorts in Puck Aleshire’s Abecedary. 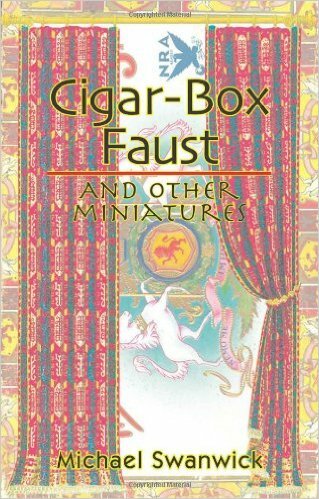 The title piece was a short drama written in one day for a cigar-box theater and a cast made up of a cigar cutter, a box of matches and, in the title role, the cigar itself. Marianne came home from work that day and asked, “What’s new?” I sat her down at the kitchen table, placed the cigar box between us, and said, “Watch. San Francisco, Tachyon Publications, 2004. MICHAEL SWANWICK: “I don’t think you understand how many genera of dinosaurs there are,” I replied when my editor at HarperCollins suggested that as a promotional device, I should write a brief story for every genus. 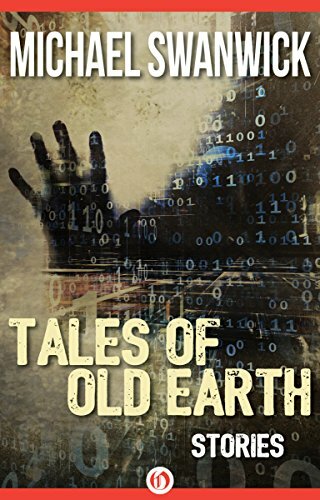 But I was happy to write a goodly number, which were serialized on the Web to draw attention to my paleontology novel, Bones of the Earth. Jacob Weisman, God bless him, liked the series, added “Five British Dinosaurs,” which had appeared in Interzone, and published them all in chapbook form with lovely illustrations by Stephanie Pui-Mun Law. 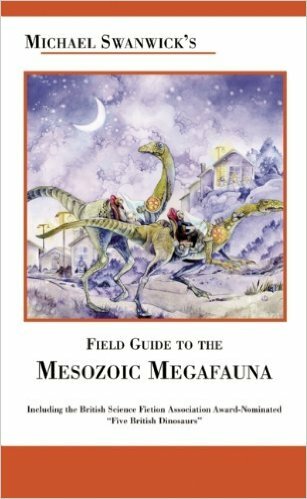 I had great fun including some of my pals in the paleontologist community in the fictions. Ralph Chapman got to see his Pachycephalosaurus theories tested in the wild. Bob Walters was stranded in the Campanian Age when a hadrosaur crushed his time machine. Tom Holtz got eaten by a tyrannosaur. And Tess Kissinger went for a midnight ride with Ray Harryhausen in a pair of robot theropods. Never let it be said that I don’t know how to show my friends a good time. Flash fiction, one story for every element in the Periodic Table. Introduction by Theodore Gray. MICHAEL SWANWICK: For a couple of years in the early part of this century, I was publishing, in addition to my usual fiction, two stories a week online. For Eileen Gunn’s ezine The Infinite Matrix, I produced a series of stories, The Sleep of Reason, based on Goya’s Los Caprichos etchings. That was 80 stories for Eileen and 118 for Ellen. Writers used to turn pale and hold up crucifixes when I entered the room. Peter Crowther, the founder of PS Publishing, liked my series based on the elements and reprinted it in a beautiful book which very quickly went out of print. The Sleep of Reason hasn’t appeared in book form yet. If anybody is interested, I can think of the perfect illustrator for it – and his work is all in the public domain. 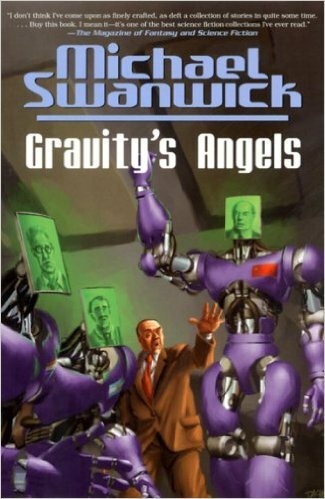 MICHAEL SWANWICK: One story was nominated for the Nebula Award and four for the Hugo Award. Of those four, three won. Introduction by Terry Bisson. My third decade collection arrived three years early. It was named after “The Dog Said Bow-Wow,” the first Darger & Surplus story and easily one of the most popular stories I ever wrote. At the time the collection came out, there were only three stories in the series, all of which were included. Someday there will be a full collection’s worth. But that day, alas, is not here yet. MICHAEL SWANWICK: Subterranean Press likes to put out career-summing “best of” volumes dedicated to people like Joe Haldeman, Lucius Shepard, Nancy Kress, Larry Niven… Pretty heady company to be numbered among. So when Bill Schafer asked me to join them, what else could I do but blush and nod? This collection was not only beautifully made but large – so much so that it was a bit of a relief to discover that I didn’t have to include any of my weaker stories to fill it up. 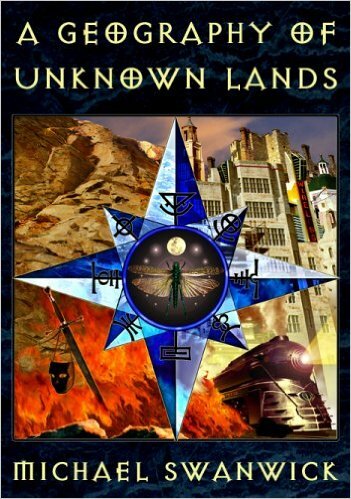 Bill asked if I had any ideas for the cover artist should be and I immediately suggested Lee Moyer, who had done such a bright and witty job on A Geography of Imaginary Lands. When I saw the cover (which includes a half-hidden portrait of my hirsute self), I was glad I did. 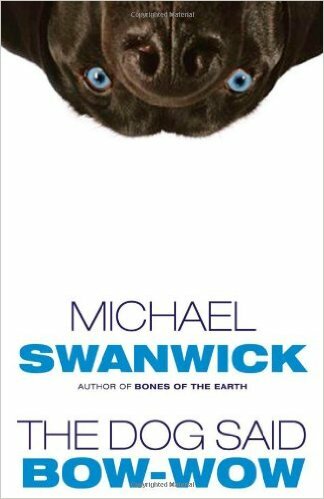 I look forward to the day when I have enough new fiction to assemble The Second Best of Michael Swanwick. Oooooh nifty! I loves me some Swanwick (The Iron Dragon’s Daughter is a brilliant piece of genre-bending), but I have only scratched the surface of his short stories. And judging by this list, that scratch isn’t very deep. A real pity that hardly any of these have ever been available in Canada. For Canadians, anyway. Michael is one of the great storytellers of our century. Thanks for celebrating him as he deserves. This is exactly what I needed. My intro to Mr Swanwick is Not So Much, Said The Cat, the story collection, and I really loved it, when usually it is rare for me to find interesting stories. “A person can write about anything!” I said to myself during The Dala Horse in that collection, and again during Passage of Earth. I’m very grateful for this list and the commentary from the author.